We celebrated Diwali yesterday. Diwali is one of my favourite festival. I missed India a lot. 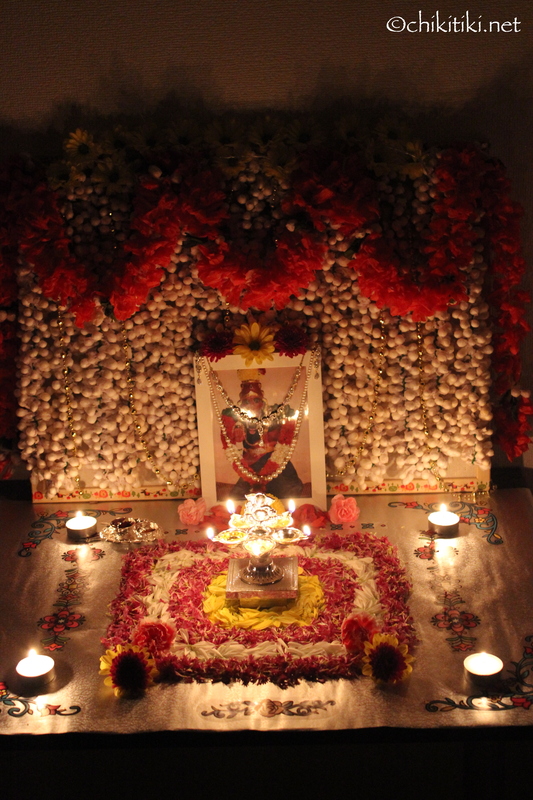 The colours, flowers, sweets, diyas…. (and no.. not the crackers). Missed all the liveliness. Here it was just another weekday. My grandma bought me a silver diya/lamp during my last India trip and it was perfect for this Diwali. 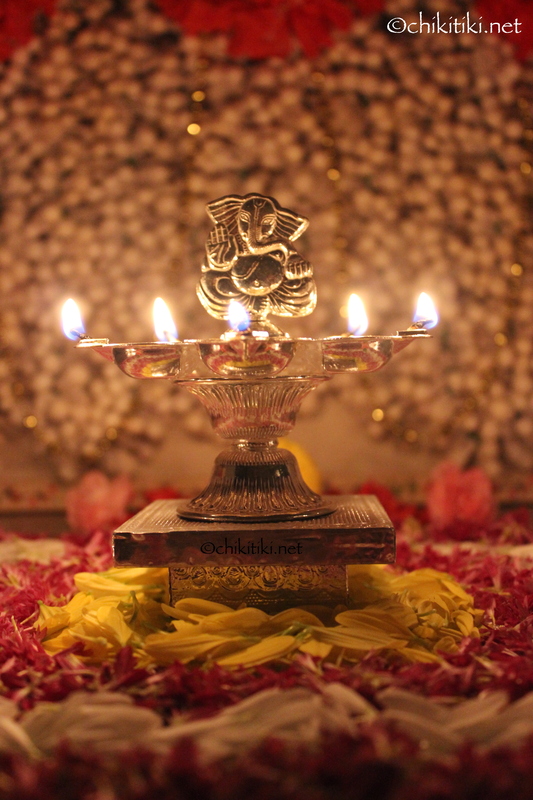 The lamp has a Ganesh with five diyas. I used few flowers from our garden for the decoration around the lamp. I had paper garlands of jasmine and crossandra which was perfect for the background. I also bought some wall stickers and candles from the dollar shop. The wall stickers looked like rangoli. So I used them as fillers/border around the flower arrangement. We had some sparklers from last year’s Hanabi and thought our little one might be interested. Gk lit them in our garden space and was persuading him to hold it but instead he started yelling Fire! Fire..!! So we had to stop.. 🙂 Although it was a short and quiet Diwali, we enjoyed it.